The number one reason you should drink smoothies: They are an easy way to add more nutrients to your daily diet; Vitamins, Antioxidants, Potassium, Fiber, etc. By and large, Americans eat too much processed food that has very little nutritional value. When we talk about weight loss, we always stress balanced, healthy eating and eating food with lots of nutritional value is key for a balanced diet. One way to help your body to receive plenty of amazing nutrients is to introduce regular, homemade smoothies into your diet. Smoothies are becoming more and more popular as may high-tech blenders, like the Nurtibullet, have come into the market at affordable prices. Just think about how many healthy things you can throw into a blender and drink: Fresh or frozen fruit, greek yogurt, chia seeds, flax seeds, natural protein powder, vegetables, greens, stevia, nuts, honey and so much more! There’s really not many restrictions when it comes to blending natural, wholesome ingredients and smoothies certainly satisfy your body with a balanced amount of nutrients. When you eat more fiber-rich food that your body recognizes as food, your body will reap the benefits. 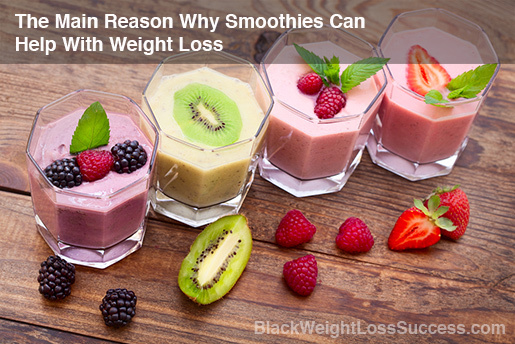 Smoothies can be prepared easily and your digestive system can digest them easily. We all see commercials about eating more fiber and being “regular” but you don’t have to buy the supplements in these ads. You can help your digestive system by eating more whole foods. It’s best to avoid shop purchased smoothies, as these often contain added sugars and condensed fruit juices (read the label). By making your own smoothies you will have complete control over what foods you eat and therefore you can have your meals with the confidence that you are eating in accordance with your goals. Water, almond milk, coconut milk or freshly made juice can be a great base. Greek yogurt or natural protein powder can be added for protein. To your base, add fruits like bananas, berries, grapes, mango, strawberries, and lemon juice. Don’t forget to include vegetables like kale, spinach, avocado, carrots, cucumber and shredded cabbage. Many people add oats, nuts and seeds into their smoothies for added fiber. The best way to start making smoothies is to get a blender and start experimenting. You don’t need a special, expensive blender. As long as it can crush ice, you are all set. The Nutribullet has had wonderful success in the past few years. It is small, easy to manage, and you can simply whip up your smoothie and drink it from the container you made it in. You can make up your smoothies in the morning and save one or two to drink during the day. It’s best to drink them just after making them, but if you cannot, it’s alright to put them in the refrigerator until later, up to 24 hours. For long, I suggest you freeze your smoothie and eat it as a frozen treat. A highly nutritious breakfast smoothie is a wonderful way to start your morning. Once you get into the habit of making these, you’ll be set every morning nutrition-wise if you choose. This is great when you are pressed for time in the morning. Here is a great morning smoothie recipe that is power-packed with essential vitamins and minerals to give you a great boost and help with any weight reduction plan you have. Simply mix these together and enjoy! Regarding the consistency, you’ll get a feel for how much ice you need or don’t need as you go along. If your fruit is frozen, you may not need as much ice. You can also add other things like kale, oats, cocoa powder, coconut oil, apple cider vinegar and more to the recipes you find to fit your taste. It can also be quite fun to try out different types of smoothies and decide which ones you like the best. 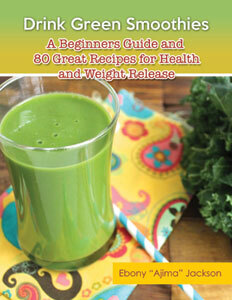 Consider a green smoothie in the morning and perhaps a small fruity smoothie after dinner for snack. For recipes, check out sites like Pinterest or purchase a smoothie recipe book that is geared for those wanting to shed a few pounds. Note: If you have any digestive issues that would hinder you from eating certain fruits and veggies, smoothies may not be for you. If you have blood sugar related ailments, like diabetes, fruit smoothies are likely not the best choice. Check with your doctor for options in terms of food combinations and low glycemic index fruits. I think having a diet of mostly fruit and vegetables is the way to go. I have been trying to lose weight for a long time by avoiding that regimen. Now I’m going to give it a go and I feel rather certain it will work.